‘Barclay Village’ in Vancouver’s vibrant West End is a sensitive insertion into an existing neighborhood and marks Büro Ole Scheeren’s ongoing engagement in creating new architectural typologies that promote social cohesiveness in dense urban contexts. Located at the midpoint between Vancouver’s bustling Davie and Robson Villages, Ole Scheeren’s design draws inspiration from the texture and scale of the surrounding urban fabric and folds the typologies of the two historic villages from the horizontal into the vertical, creating carefully articulated twin towers that integrate into the local neighborhood. Dubbed ‘Barclay Village’, the project merges a diverse mix of residences with public amenities, communal spaces and a network of green areas that extend to the building’s top floors. Ole Scheeren says: “Whereas tower typologies by default reinforce isolation and division, ‘Barclay Village’ proposes a design that becomes an extension of the local neighborhood and community and that opens up the confines of the tower to reconnect architecture with its natural and social environment. ‘Barclay Village’ is embedded in Vancouver’s lively West End, an area characterized by a range of small and medium-scale structures and a patchwork of dense green spaces. The design of the project reflects this heterogeneous urban context by stacking cubic volumes of varying size to form two modulated towers with a distinctive silhouette. The volumes are offset to create multiple receding platforms, balconies and terraces that resemble the network of diverse small-scale spaces at street-level. ‘Barclay Village’ creates a living experience in a high-rise comparable to that of the surrounding neighborhood, affording both private residential spaces and a variety of communal areas for social connectivity. 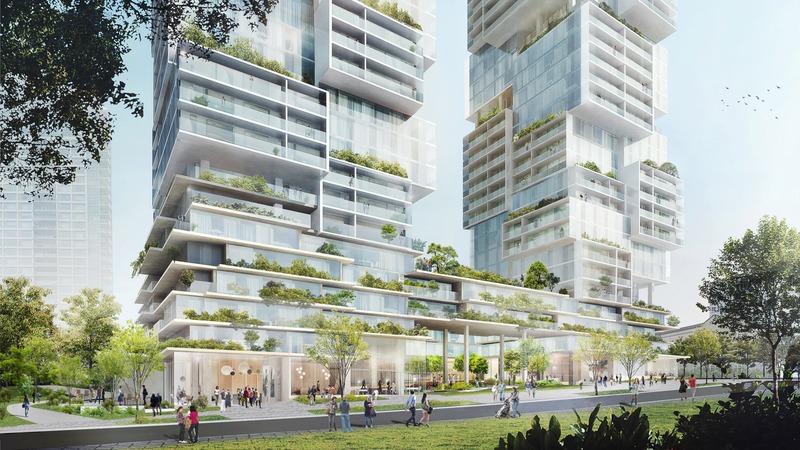 “Through the integration of nature on the various terraced spaces of the twin towers, we are extending the typology of the ‘tower in the park’ defined by Vancouver’s West End Plan through the idea of bringing the ‘park into the tower’” says Ole Scheeren. 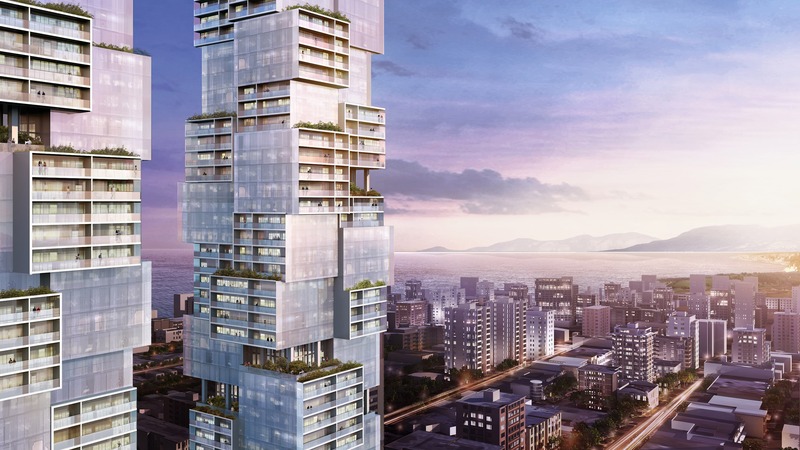 ‘Barclay Village’ will mark Büro Ole Scheeren’s second project in Vancouver after the unveiling of 1500 West Georgia in 2015, now rebranded as ‘Fifteen Fifteen’, a residential tower in a pivotal location of the city whose distinctive design reaches out to engage the surrounding city and nature. It also further expands the practice’s portfolio of innovative, socially and environmentally sustainable residential projects, including The Interlace in Singapore, which was awarded the Urban Habitat Award in 2014 and named World Building of the Year in 2015.